Microsoft Stream recently added live streaming capabilities to its enterprise video service. With this, Stream now enables organizations to schedule, produce and deliver live video for companywide events, leadership updates and more. On the surface, Microsoft Stream seems to have the basic features and functionalities to deliver live videos across organizations. However, a closer look reveals a lack of important live video capabilities that deem the service unfit for large to medium-sized organizations with complex enterprise video streaming needs. We did a thorough examination of Microsoft Stream live video features (so you do not have to) and found five key live video streaming features that your organization would need, but Microsoft Stream’s live video service does not provide. Video use cases in the modern enterprise are no longer limited to internal employees. 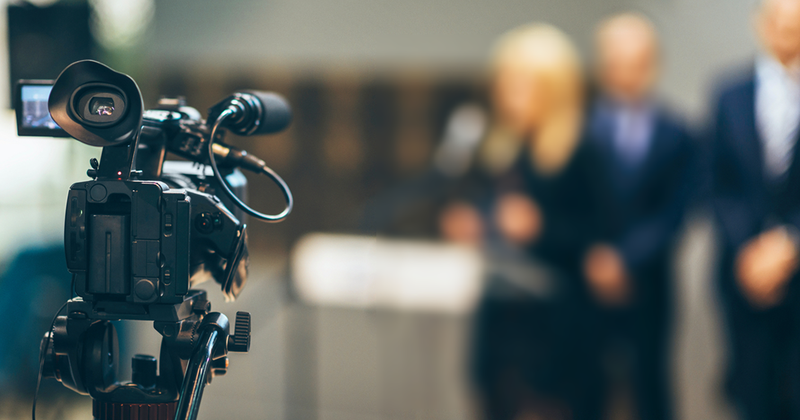 With video becoming a popular medium for organizational communication, learning, collaboration, and even marketing, it is essential for an enterprise video platform to support secure video access to external stakeholder groups. This includes business customers, partners, suppliers, investors, and communities, among others. Anonymous viewing– viewers will only need to provide a name and email address (optional) to access the live video (best suited for public videos) and participate in the live chat. Password-protect live webcasts– viewers will be required to provide a password shared with them via email or other means to view the live video. Third-party login– external viewers can get third-party authenticated access using Facebook, LinkedIn, Twitter, Google or Office 365 in a secure yet seamless single sign-on experience. Dedicated portal for external users with authenticated access-- In VIDIZMO’s multitenancy video platform, you can have an exclusive portal for external users only, with authenticated portal access. Organizational users need a simple, one-click webcasting experience. This means that an end user, i.e., the video presenter/ producer, should be able to start a live video in a few clicks (minimal steps) without having to worry about the back-end integration with streaming infrastructure such as the encoder, streaming server or CDN. This is not the case with Microsoft Stream live webcasting. Stream requires an external encoder setup with every live stream, i.e. users need to copy a server ingest URL into their encoder to send live encoder feed to Stream every time. Even while ending a live stream, a user has to end the event in both Stream and the encoder in that particular order otherwise the audience will see an error. Clearly, the process is not characteristic of a one-click webcasting experience. In comparison, VIDIZMO provides a seamless webcasting experience where a user can simply start and end the live video in a single click. The encoder integration is a one-time set up that is taken care of during the initial application deployment phase. Live analytics are key to assess live video performance, audience engagement, Quality of Experience (QoE) for the end users, as well as Quality of Service (QoS) of network performance in real time. Organizations require a comprehensive list of analytics to monitor, track, correct and later analyze video performance as per the above criteria. Audience data such as browsers and devices viewers used to access video, as well as geographical heat maps of audience location. QoE data such as player load time, quality (resolution) of videos played, and heat maps of video buffering and errors across global locations. QoS data such as cache hit/ miss ratio, content served from origin server vs. CDN, bandwidth usage, data transfer across CDNs for traffic spikes, Edge performance analytics, etc. Video interactivity is critical to engage a live audience. Without interactivity, your audience has a disengaged, passive video viewing experience as they don’t have a way to participate in a discussion, provide feedback or ask questions as they can in social media apps like YouTube, Facebook, Instagram, etc. that offer live video. Stream does not support any video interactivity on its own. The only way to include a live, interactive discussion in Stream videos is to launch it from Yammer, which is a downside for companies that don’t use Yammer for corporate social collaboration. Similarly, for Q&As in Stream videos, the user has to launch the live video from Microsoft Teams. Again, this is a limitation for those companies that don’t use Microsoft Teams for social collaboration. Stream is, therefore, dependent on other Microsoft applications to provide basic live video interactivity. Stream also does not support live polls or surveys which are useful for large-scale audience engagement and statistically representative responses. Social sharing to Facebook, Twitter, etc. Microsoft Stream has some general live video limitations such as limiting maximum length of a live event to 4 hours, resolution limit of 720p instead of 1080p, or only having commenting capability after the live event has ended. Not only this but Microsoft Stream also does not support more complex video streaming scenarios such as support for multicast or peer-to-peer (P2P) streaming to enhance live video delivery while optimizing enterprise bandwidth. VIDIZMO has none of the above-mentioned limitations and provides a complete multitenancy offering, a native WebRTC-based P2P CDN (also compatible with Peer5 and Hive, etc. ), a native software-defined eCDN, and integration with a broad range of public CDNs and WAN Optimization technologies. For any medium to large organization, conducting live events is a high-stakes project. Considering this, business and IT leaders cannot afford to compromise their live events with a basic video solution that lacks essential live video platform capabilities. With increasingly complex organizational video applications and use cases, businesses must invest in an enterprise video platform like VIDIZMO that is designed keeping in mind enterprise video needs of large and medium-sized organizations and is customizable to suit individual customer requirements (unlike Microsoft Stream, which is a cookie-cutter solution without any flexibility for business or industry-specific needs). For more on Microsoft Stream, read our detailed Microsoft Stream analysis of all video platform capabilities or contact us today for more information.